The german, czech and dutch users will be happy with the translated app in their native language. A main new feature is the ability to import ready made map-files in the GEMF-format. 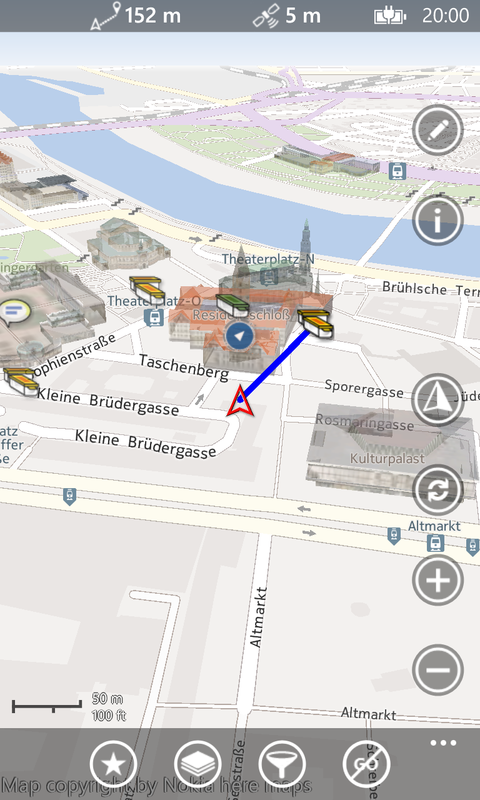 You can download some ready made GEMF-files from the map catalog or build your own map files with the PC-tool ‘Mobac’ (Mobile Atlas Creator, Format OSMdroid-GEMF). This update starts with the implementation of many new features of the Window Phone 8 platform. The start is the most wanted feature, the HERE map integration. 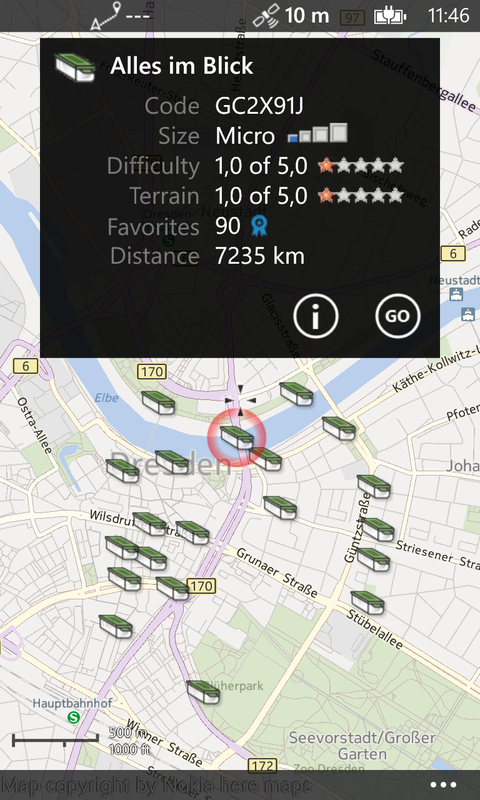 No more downloads of maps in advance, just go out for caching with the delightful Nokia HERE map. This update is available for Windows Phone 8 devices only. The coming updates will require the features of the Windows Phone 8 platform too.